The Bengaluru FC Colts’ brilliant run in the Manchester United Premier Cup came to an end with a heartbreaking 3-1 defeat in extra time to BMSC Manipur in the All-India final played at the Balewadi Sports Complex, in Pune, on Friday. The under-15s impressed through the tournament but were undone by some slack defending when it mattered the most. Bengaluru earned their place in the final beating Mohammedan Sporting 3-2 in a penalty shootout in the semifinal after the teams were tied 2-2 after regulation time. The junior Blues began the final on all the right notes, shooting to a 10th minute lead when Lokesh headed in a Shelton Paul cross. It would also be the first time BMSC had conceded a goal in the tournament. However, the lead was short-lived after BFC ’keeper Bill Clinton erroneously judged a BMSC freekick, letting it bounce over him into the goal. The Manipur team kept possession for most of the game, frustrating Bengaluru’s attempts of searching out a winner. The final went into extra time when BMSC struck in the 12th minute of the first period, again from a BFC error. Receiving a pass from the ’keeper, right-back Prashanth was soon dispossessed and a pass later, Manipur scored their second. BMSC put the matter beyond Bengaluru’s reach with a third in the second period of extra time to lift the Cup. Clinton’s heroics under the bar in the shootout against Mohammedan where he pulled off three fantastic saves, earned him the goalkeeper of tournament award. “BFC has a defined and clear youth development philosophy and program and the results achieved here are a result of a lot hard work going into adhering to a training program and demanding high standards from the players. 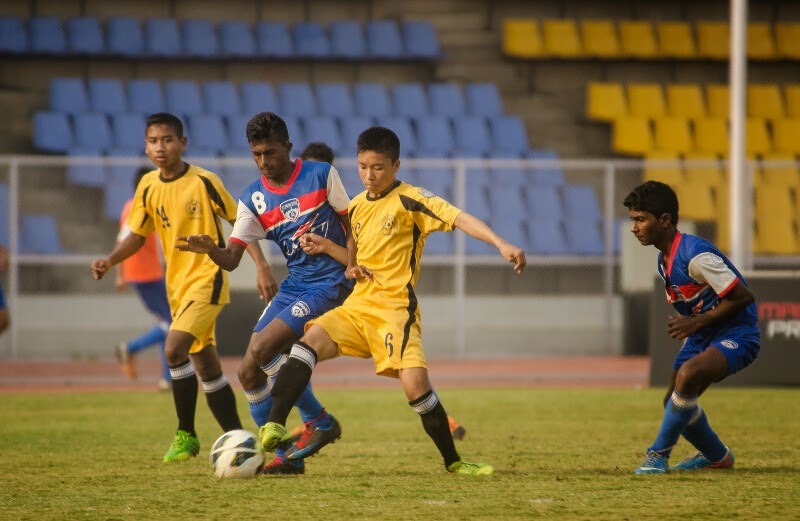 We have a good supply line developing in various age groups and hope to see these super colts play for the BFC at the highest level in the years to come,” said Richard Hood, head of youth development, Bengaluru FC.